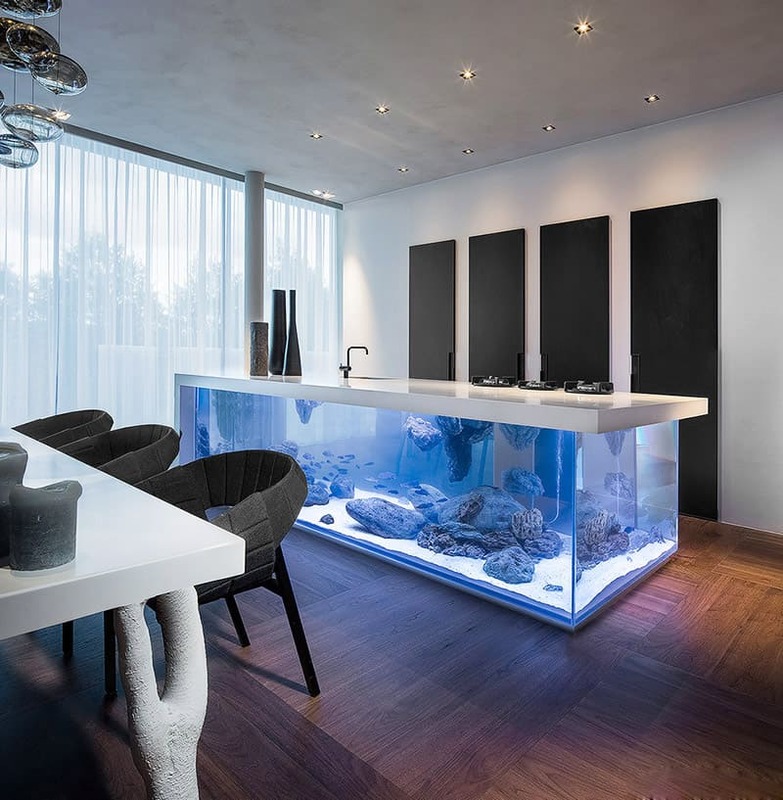 When it comes to creating some awesome interior designs for your home, you have to pretty dig deep, as in under-the-sea deep, to come up with a truly unique idea. Dutch designer Robert Koleik specializes in eco chic. His Amsterdam-based design firm incorporates nature and environmentally friendly products in their luxurious interior designs. Each and every Kolenik design is unique; from the made to measure furniture to the most minute, beautiful details and innovative solutions. 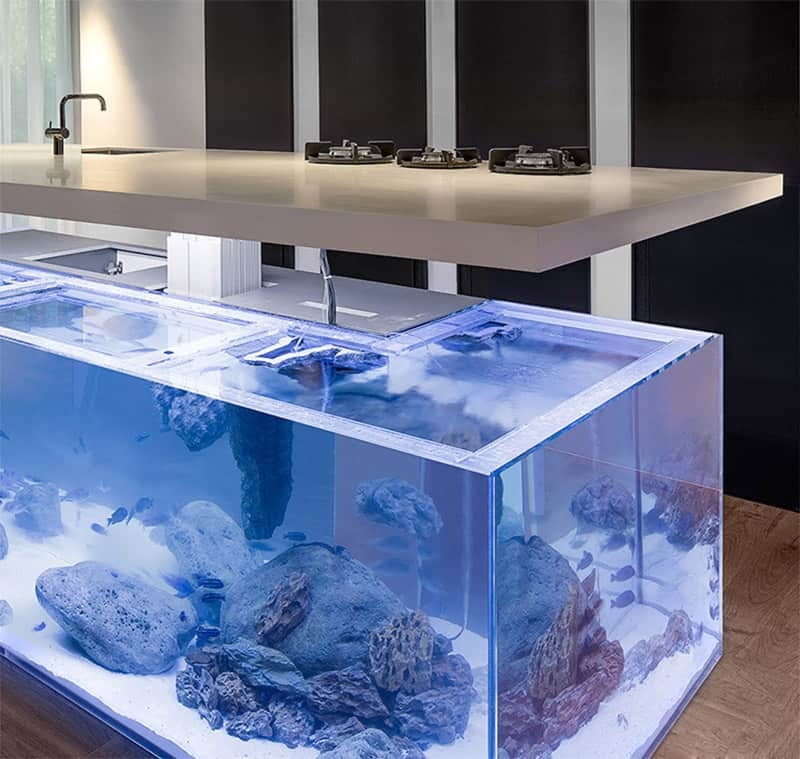 Kolenik created this giant aquarium kitchen island that combines his signature high-end design and sustainability with a little underwater inspiration. 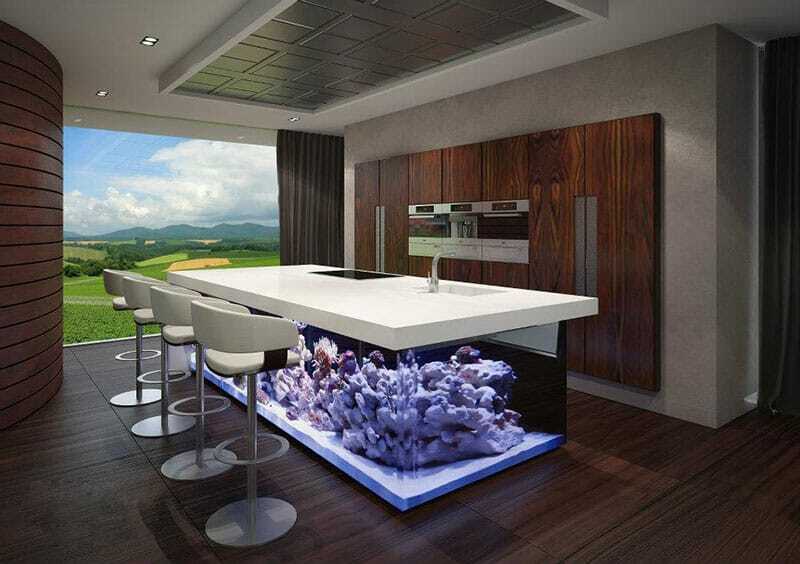 The Ocean kitchen is his latest example of functional design coexisting with living nature. 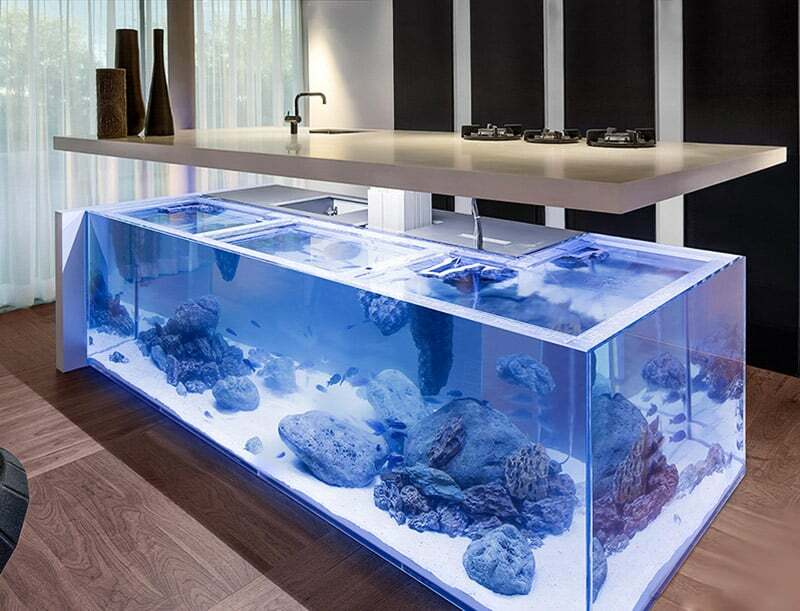 The ocean kitchen is a unique aquarium under then kitchen top which effortlessly lifts just with the press of a button. 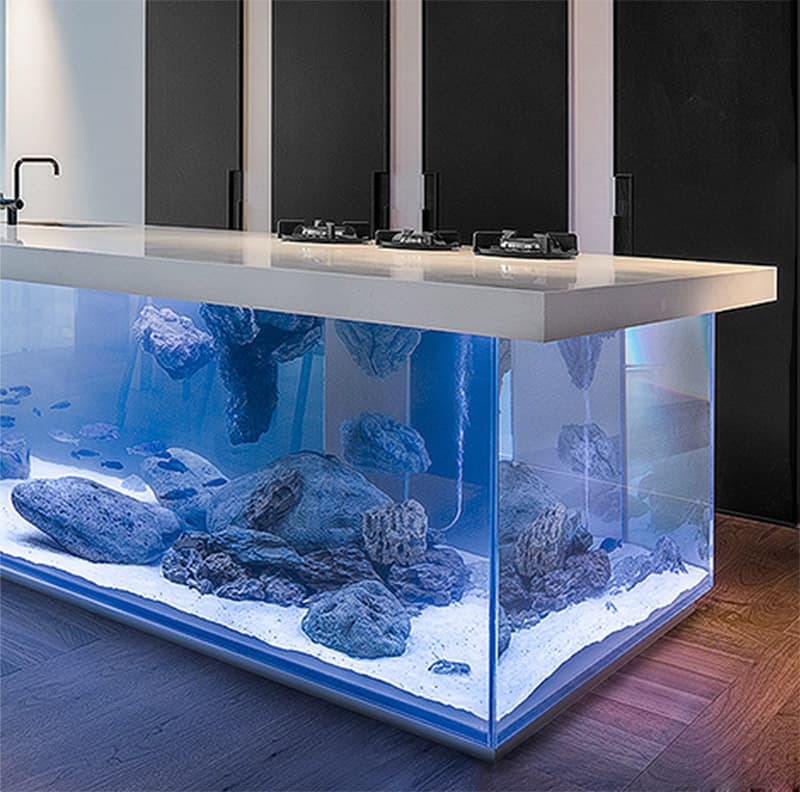 The ‘Ocean Keuken’ is actually shaped like a large ‘L’ – the storage and equipment compartment inside the counter is hidden with mirrors to make the aquarium seem larger than it is. 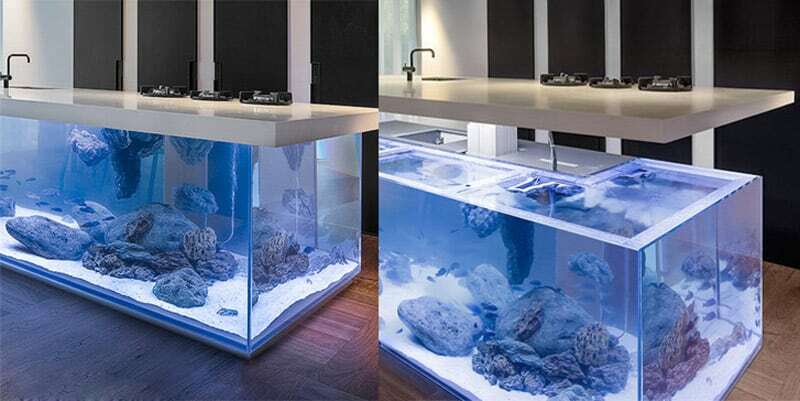 How awesome to have an island like that at home! 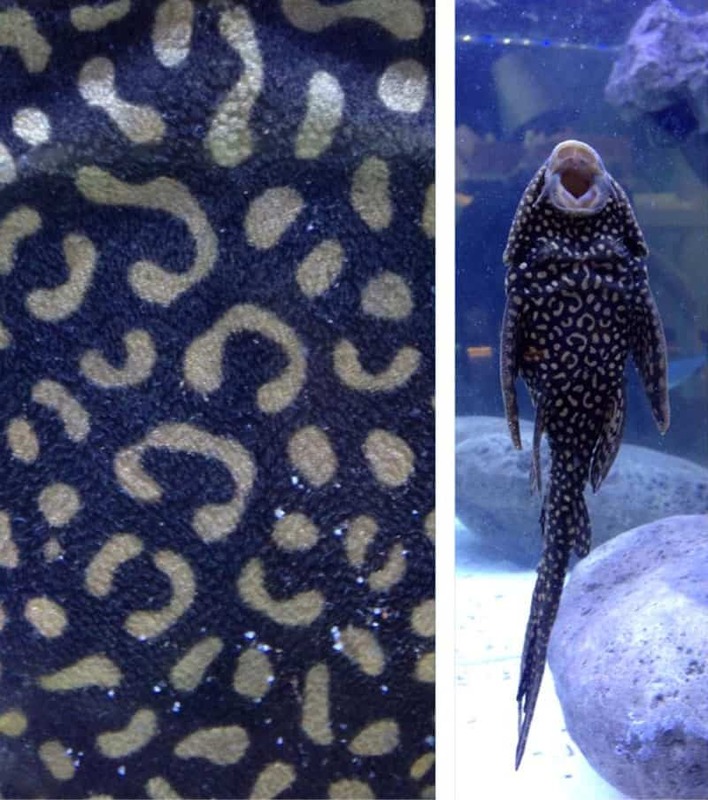 The Ocean Kitchen (Ocean ‘Keuken’) has been in the works for awhile. The 2012 computer rendering by Kolenik shown below was the designer’s initial concept. 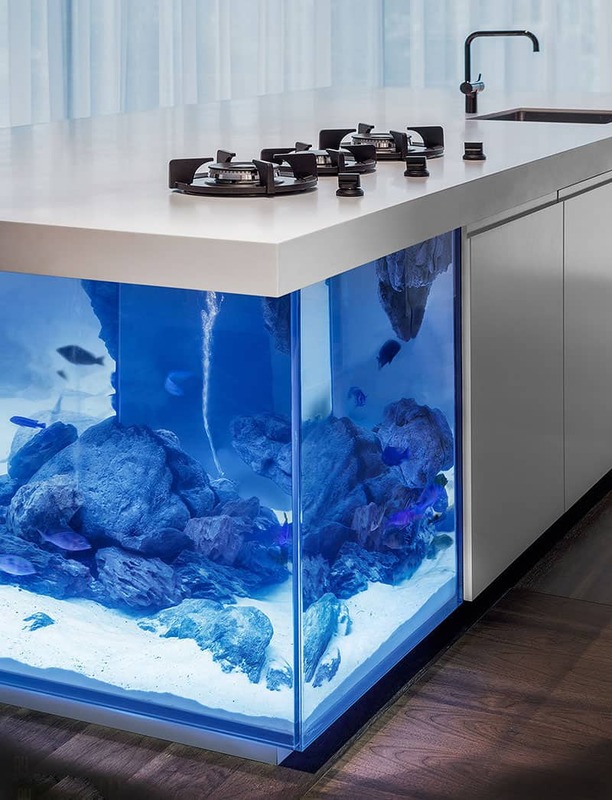 Thanks to its clever design, you can raise the countertop with the simple push of a button to gain access to the aquarium for all those times you want to clean the tank or simply grab a fish for dinner. 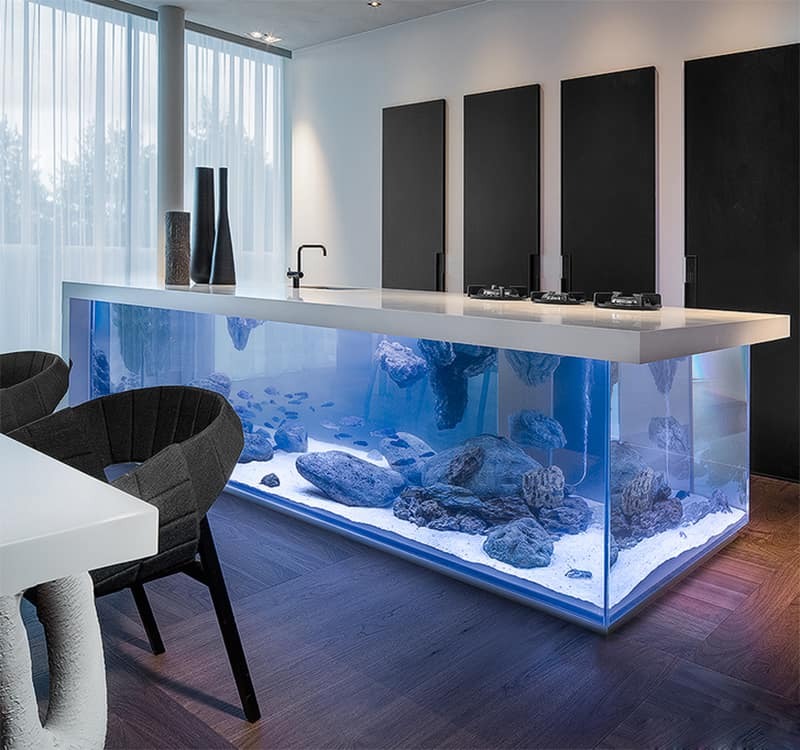 Whichever floats your boat.Now it’s been produced as a fully customizable design in which the aquarium serves as the base for a kitchen counter that carefully conceals cabinetry, storage space and the filter.